Wendy has 15 years experience in the industry and is the driving force behind our business. Developing new business, along with the implementation of the very best systems ensures the transparency of our management policies. 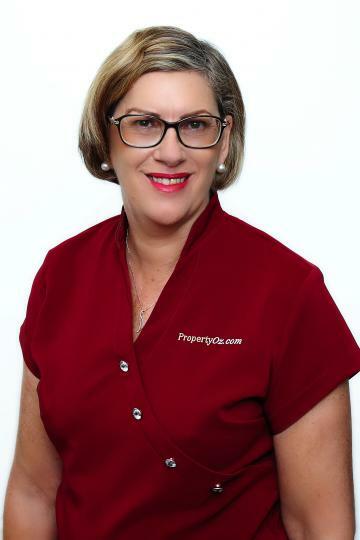 Wendy will be your introduction to our vibrant and professional team within our agency. OPEN SUNDAY 15th MAY 1.30 - 2.15pm This well presented family home certainly offers more than first meets the eye. Life is busy, but in this family home you can come home to walking and bike paths around the lake, a beautiful in ground pool to enjoy, or chill out in the carpeted, peaceful separate theatre room. WOW, like the sound of it so far, then read on and make sure you do not miss inspecting this home. This spacious family home is a rare find. The property is located in a popular suburb and is central to schools, shops, dog park and facilities. Some renovating has been done, you complete the canvas! Set on 809m2 allotment, you have six bedrooms in fully air conditioned home to fulfill your many options. Owner meets the market with this gem, wants it sold. Well positioned in the sought after suburb of Aitkenvale, this family home is set on a quarter acre, 1012 square metre allotment and only minutes to the river. This spacious home offers you enormous potential. A rare opportunity presents itself with this immaculately presented property set on 414sqm allotment. Located in the riverside suburb of Douglas, close to the Riverview Tavern, Riverside Shopping Centre and within walking distance of walking and bike tracks along the Ross River, James Cook University and Townsville General Hospital, this home will be a great first home or secure investment. Ideal Starter, most of the work is done . OPEN HOME SAT 3.30 - 4..00pm WOW factor with amazing potential best describes this home. The major renovation work is already done with an awesome kitchen with blue granite benches and stunning white cupboards. Dishwasher and built-in fridge are all included then walk out the door onto the huge deck (6m x 9m) extending your living area. This well presented 3 bedroom home is perfect for the first home buyer or the astute investor with tenants in place who are happy to stay. Positioned on a 600m2 level block and just a short distance to schools, shops, and Laverack barracks this delightful family home offers a functional kitchen, including dishwasher plus a large outdoor, undercover entertaining area. OPPORTUNITY AND POTENTIAL, IN PRIME LOCATION. OFFERS WANTED, OWNERS MOVED ON. A complete transformation has been given to this classic home in a prime location. The newly renovated kitchen is the focal point of the living area, offering dishwasher and gas cooktop, and loads of cupboards. Polished timber boards throughout, the entire home is air conditioned. Close to schools & shops. Affordable Family Home in great location !! Set in a quiet pocket of Annandale, this large 4 bedroom home is packed with features. Open plan kitchen and dining lead to undercover patio with tropical gardens surrounding beautiful in-ground pool. Situated in Cypress Drive, neat three bedroom home, air-conditioned and security screens. Open plan living areas, cathedral ceilings and ceramic tiled. Spacious kitchen with loads of cupboard space. Very modern bathroom. Three bedrooms spacious and built in. Pergola, separate store room and single remote garage. Fenced. This well maintained 3 bedroom home is available soon. Large open living features, adjacent to well appointed kitchen with gas cook top Tiled living areas and carpet to bedrooms. Situated close to the River in popular Annandale, this huge executive home needs a new family. With separate formal lounge, living room and dining adjacent to spacious kitchen, you have expansive living areas.